Contracts for difference have hugely increased freedom, flexibility and opportunity for the individual trader. But many more could benefit from the advantages that CFDs offer. But the array of contracts for difference providers, stockbrokers and futures traders, all competing to offer similar products, but with different charges, commissions and account conditions can be daunting for first-time traders. So to understand how contracts for difference (contracts for difference) could benefit you, you need to cut a path through all the companies clamouring for your attention and take a look at what sparked off the CFD market in the first place: stamp duty on shares and the leverage that contracts for difference allow. We all know that tax distorts the market. And the 0.5 per cent stamp duty on share transactions – which rose as high as 1 per cent in the 1980s – is no exception. It didn’t take long after the introduction of stamp duty for City traders to conjure up an interesting way to avoid it. What if two individuals came to a private agreement concerning the future direction of a share price? The parties might agree a contract, such that if the share price rose, Mr A would pay Mr B the difference. And if the share fell, Mr B would pay Mr A the difference. As no shares changed hands, nobody would have to pay stamp duty. Although it’s true that no shares actually change hands between the two parties, anyone offering CFD broking services will want to hedge their exposure. Market makers and other financial intermediaries are in a perfect position to do this, because they are exempt from stamp duty. They can issue a CFD to a client and then buy the underlying stock in the market to cover themselves. And because contracts for differences are ‘synthetic’ derivatives (created out of other securities), clients can trade on a margin and short the market. However, investors were quick to realise that the real advantage of CFDs was not the exemption from stamp duty, but the ability to trade on leverage and this is the reason why CFDs have been experiencing global growth over the past 10 years. Contracts for Difference are essentially a derivative product, where you will profit through the shifts within the stocks and shares prices. In addition, a CFD is a leveraged trading instrument that allows you to trade a large numbers of shares for a smaller outlay than buying the actual stock or contract. In doing so your gains OR losses can be magnified compared to holding ‘traditional’ positions. Under normal market conditions CFDs allow traders and investors to leverage their investment up to 20 times or more. For aggressive, risk-taking speculators, the ability to leverage the investment is a main benefit of the product. This is because CFD trading is a form of margin trading. Buying shares on margin is akin to borrowing money through a margin loan to buy stocks, or buying a house using a mortgage. To buy a house, you are not required to pay the full purchase price in advance, only a down-payment. This initial deposit is required by the bank to ensure that if they have to sell your house they do not lose money. Contracts for difference offer a similar opportunity to a trader in that you are not required to tie up a lot of money on each trade. Most stock market investors buy shares for cash, but if you use CFDs, you can place down a deposit, known as a margin. This margin requirement is used to protect the CFD issuer if it has to sell a trader out of a position. Your supplier will similarly have a minimum margin requirement, which the norm is 10%. What exactly this margin would mean is when the CFDs position is 20,000, and your margin is 10%, you simply must deposit 2,000 of your own money with the broker to open the position. If, for instance, you wanted to invest by buying into BP shares, they might cost you in the region of £4.16 per share. One share won’t get you very far so assuming you buy 10,000 shares the total cost would be £41,600. Alternatively, you can buy a CFD that pays out the difference between the price of 10,000 BP shares now (worth £41,600), and 10,000 BP shares in the future. If BP rises by 5 per cent between now and next month, you can sell your CFD at a profit of £2,080 – the difference between £41,600 and £43,680 (ignoring commissions). But you wouldn’t have to cough up the initial stake of £41,600. Contracts for difference for major stocks like BP typically trade on a margin of 10-20%, which means that you only have to put down 10% of the value as your margin, so for holding 10,000 BP shares you could ‘only’ need a margin of £4,160 in our example and still be exposed to the same value. So, as you can see with an initial investment of £4,160, rather than only acquiring an exposure of 416 shares (buying normal shares at £4.16 a share), with CFDs you might be able to get exposure to 10,000 for the same money. 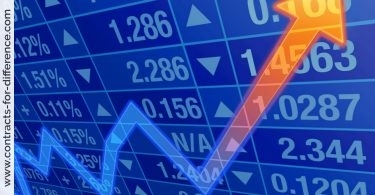 Therefore in the above example you will have gained a cash return of £2,080, that is 50% of what you invested (£4,160). Margin trading thus allows you to gear up your investments, so that by risking an initial stake of £10,000, you can gain exposure to the upside on £100,000-worth of equities. In fact, some brokers, such as CMC Markets, allow margin trading on as little as 1 per cent on FTSE 100 contracts for difference. Generally, most CFD brokers apply a 10:1 leverage, though you might very well come across some brokers that offer a 20:1 leverage. 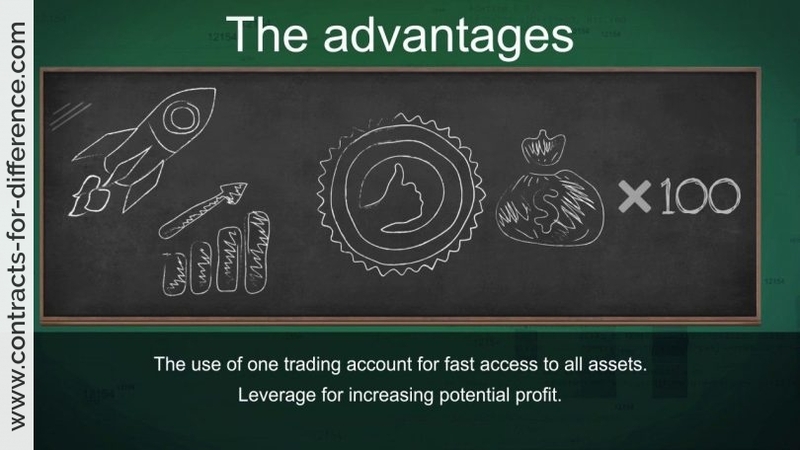 What this means is that when your trade account carries a 20,000 ‘cash float’ and your CFDs broker supplies a 20:1 leverage you will then have your money increased 20x 20,000 to 400,000. Of course there is an upside and a downside to the leveraged exposure that CFD trading provides. To start with the higher the level of gearing, the greater the loss or gain. If the price moves against you, you will still be liable to pay your losses, which can be much greater than your initial margin deposit. So remember, whatever your margin is, that’s the percentage fall in the underlying asset that would wipe out your stake. Taking our example of 20:1 leverage, you can potentially double or lose your money by just a 5% move in the underlying asset which you are trading on if you fully leveraged on your deposit. On a margin of 1 per cent, your FTSE 100 CFD would only need to fall from 4,320 to 4,277 for you to lose all your cash. If the FTSE fell below 4,277, you would have to pay money into your account to shore up your debts. For this reason CFDs should not be taken lightly. This means that you should choose your level of gearing with care and only take as much risk as you can afford to lose. Borrowing for bad investments will destroy your hopes and plans. If the investment loses value or even ends up worthless, you not only lose all your own capital but you also owe a debt as well. – DON’T get greedy and borrow up to the eyeballs. – HAVE the cash flow to cover repayments no matter what happens to the underlying value of the investment in the short term. – RESEARCH their investments, set goals and plan realistically. – Most importantly, CFDs are for people who understand the difference between good and bad debt, and are able to control the two biggest emotions in investing – fear and greed. Aside from gearing, the other big plus of trading contracts for difference is that you can short the market which means that it allows you to place a trade whereby you can speculate that the market is going to depreciate in value. This is referred to as going ‘short’ and is quite similar to what you may have heard termed as short selling. If you want to speculate on a possible fall in, say, Gallaher, you can sell a CFD. What your CFD broker will do is to borrow Gallaher stock from a long-term institutional investor and promptly sell it. When you close your position in Gallaher, the broker will buy back the stock and credit (or debit) you with the profit (or loss) on the two transactions. Or at least, that’s the way most CFD brokers behave. A few, such as CMC Markets are known not to hedge their exposure from CFD trades by buying shares. Instead, they balance their exposure by amalgamating all the long and short trades in a stock on their books. Only if it looks like a risky imbalance is developing will CMC Markets redress the situation by buying futures contracts. The benefit of being short-sell is of course that even when recession has hit, the United Kingdom is still feeling the pinch and stocks might be still falling in value, you as an individual can buck the trend by analysing the markets and trading via CFDs. CFDs are increasingly being used as hedging tools, particularly by people who cannot sell their shares until a specific time period has passed. Say you work for Barclays and you can’t exercise your share options for some time. You think Barclays stock is about to hit £6 but when it does it always falls back. So why not put a short on and lock in the price? CFDs are also popular with hedge funds and until sometime ago managers were able to use them to disguise their positions. The most recent example is Polygon Investment Partners, which had quietly built up a 14% stake in clothing chain Peacocks (PEA) using CFDs, prior to its £404 million management buyout. But thanks to Takeover Panel rule changes introduced a few months ago, anyone who has built up a stake in a company worth 1% or more using derivatives will have to make an announcement to the market. The change should help private investors and traders keep track of potential short sellers or speculators and following in their footsteps could lead to some juicy profits. For example, many hedge funds made large profits thanks to Phillip Green’s aborted attempt to acquire Marks & Spencer (MKS) using CFDs. They bought the CFDs before Green’s bid appeared and once the approach become public knowledge, they soon converted them into shares at a significant discount to their rising market price and sold them. How does such a conversion work? When a client buys a CFD equivalent to, say, 100 shares in any particular company, the CFD provider will buy 100 real, physical shares as a hedge. If the client then wants to convert the CFD to shares, he gives it back to the provider who then hands over the shares in return for a small fee. What are the costs in CFD trading? One cost to watch out for is the interest charge that you have to pay to keep a CFD position open overnight. Remember that if you buy a CFD to reflect a long position of 10,000 BP shares, the broker will normally go and buy those shares in the market. That ties up the broker’s capital and he will want to be compensated for that. So regardless of the initial margin you have paid to buy a CFD, you will pay a daily interest rate on the whole of the consideration. . In our BP example, you would pay around 5.75 per cent a year on a consideration of £41,600 (10,000 BP shares). Divide 5.75 by 365, and you get a daily interest rate of 0.01575 per cent. It’s not much but, on a compound basis, it takes just 26 days to reach 0.5 per cent – or the amount in stamp duty you have saved by buying a CFD instead of an equity. This is why contracts for difference are best thought of as a way to execute short-term trading strategies. Most CFD brokers specify their interest rates in terms of LIBOR (a close approximation to Bank of England base rates), plus or minus a fixed amount. If you short a share using a CFD, your broker will sell a consideration of shares in the market and will have cash hanging around. For this reason, you will receive daily interest on short positions. Typical rates to pay for a long position are LIBOR plus 2 per cent. Expect to receive LIBOR minus 2 per cent when shorting stock. But these rates are negotiable for clients with large amounts of money or high volumes to play with. The most competitive headline commissions are about 0.2 per cent to trade a CFD on an execution-only basis, or 0.35 per cent as part of an advisory service. Almost every CFD broker we spoke to admitted that headline commissions are negotiable for important clients. Many financial analysts write off CFDs as a mere form of speculation or gambling and in some circumstances this may be true since a lot of the time it is difficult to predict short term movements in the financial markets. Hedging receives little of this criticism. Using CFDs to hedge your existing portfolio can be very profitable in the long term and effective in reducing large losses. Because contracts for differences are designed as rapid-fire trading instruments, whether you make money depends a lot on the spreads you’re offered. For active traders, spreads can make the difference between dazzling success and pleading with your ex-boss to have your old job back. One thing that drives people from spread-betting to contracts for difference is that they get fed up with waiting for the share price to move up through the spread before they can even make a penny of profit. This is a factor even though, unlike spread-bet winnings, CFD profits are liable to capital gains tax. Any serious CFD trader will also need to recognise that not all prices and spreads are the same. The minimum you can expect as a private client is ‘best execution’, which will add the basic market spread to your costs. But IG Markets and now E*trade offer clients direct access to Level II prices. This turns you from a price-taker to a price-maker. For Sets stocks – (those Traded on the London Stock Exchange’s electronic order book – ie, roughly the 200 largest companies by market capitalisation), you can look at the trades going through the market and specify a price for your CFD trade. In practice, it means you can try to buy at the bid price and sell at the offer price. You will then see your trade appear on Sets. If it is taken up, you will have saved yourself the market spread. In effect, IG and E*trade are giving up the profit they would normally make on the bid-offer spread and living off the commission and financing instead. CMC Markets has a completely different business model. It charges no commission, uses its own prices and makes its own book. This way, it saves money on price feeds, and doesn’t tie up capital by physically buying shares (although customers still pay interest daily). The difference between real market prices and CMC Markets’ is that the company will take the midway point between the market’s bid and offer prices and then add its own spread. For 30 FTSE 100 stocks, the CMC Markets spread is as low as 0.25. The company’s business model depends on being able to make up with high volumes what it loses in gross margins. Some brokers will stick to the FTSE 350 and only a few will venture as far as small-cap stocks on Aim or Ofex. If you wish to access smaller companies you need to have an account with one of the bigger providers such as IG Markets which lists most UK shares including AIM companies up to a market capitalisation of £10. Many brokers will demand initial margins of 50 or 60 per cent if the stock is small or illiquid. And it can be hard to short a company with a small free-float because the broker cannot easily borrow stock. City Index, CMC Markets and IG Markets all offer contracts for differences on UK stock market sectors, while IG also offers a unique range of contracts for differences on UK house prices (both national and regional). Serious traders appreciate the fast trading capability that CFDs offer – instantly tradable prices. Using a CFD trading platform, investors can simply hit the ‘buy’ or ‘sell’ price immediately when it reaches the price level they want, and receive an instant trade confirmation of the tranaction at that particular price level.